With no major celebrity sightings and not a hint of a runaway success on social media yet, a particular new pair of jeans has been selling like crazy nonetheless. This would indicate something pretty major, dear readers: They make girls look and feel great. Very few will know about the Tomcat jeans from L.A.-based label Mother, such is their box-fresh status, but already Shopbop is reporting that a wash called Confession sold out in mere days—and a new batch has just arrived. These skinny-but–straight leg, rigid-but-stretchy jeans (genius!) are supposedly made for the tomboys out there, but the slimming cut can actually look quite sassy when worn with heels. They're noticeably shorter than your average skinny jeans, veering perhaps into pedal-pusher territory—a silhouette we didn't think would be back any time soon. "I've been wearing these pretty much every day. They're adorable and the length is a true crop. The pockets are flattering and the rise is nice and high. Love!" reads one enthusiastic reviewer, leaving the vintage-look jeans with a five-star rating. Tomcat in a cleaner wash without distressing, called Prize Pupil, is also being requested to fast-track into Net-a-Porter before its original autumn drop date, such is its early popularity. If you've ever tried on a pair of Mother jeans, you'll know that they have some advanced fabric tech going on: The denim is always super soft and with give, but the cuts never lose their shape or let your legs down on the sculpting front. I'm sold. I want a pair. 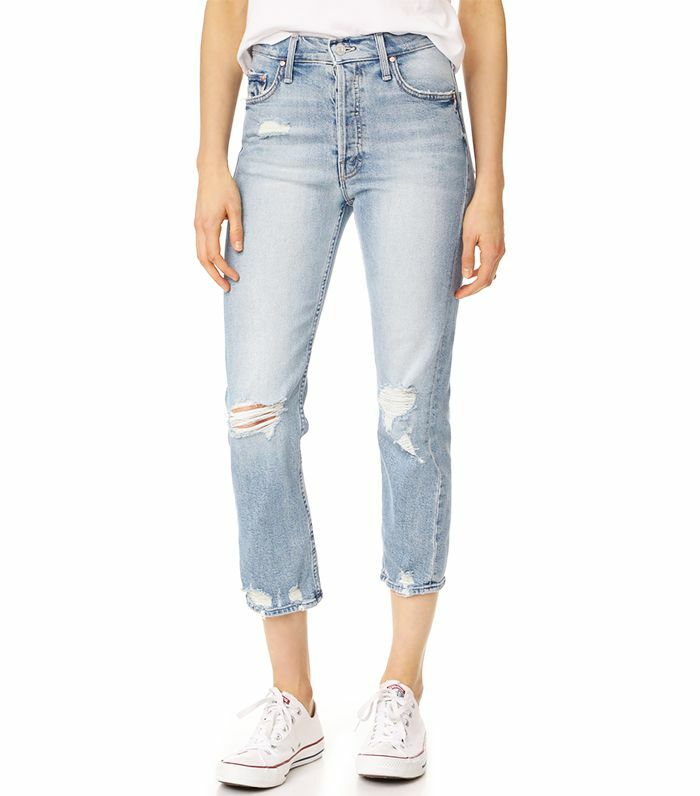 Keep scrolling to shop these must-have jeans before they sell out again. Next up, the main denim trends of 2017.